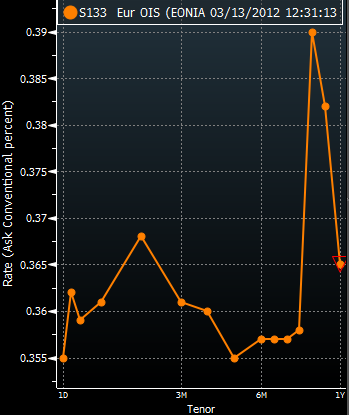 Bloomberg recently published a story that provides an overview of the problems with the LIBOR index. We discussed this issue some time back as the investigation against UBS and others was beginning to take shape. There were multiple reasons for banks to manipulate this artificial index depending on how these firms were positioned. And they did, since there were no rules against it - it is purely a survey. Bloomberg: The BBA, the lobby group that has overseen Libor for 26 years, is under pressure to find an alternative way to calculate the benchmark, or cede control of it. Regulators from Canada to Japan are probing whether banks lied to hide their true cost of borrowing and traders colluded to rig the benchmark, the basis for interest rates on securities from mortgages to derivatives. But the solution to this issue is not obvious. A common but a naive proposal is to use only the actual transactions in calculating LIBOR. But the reality is that for many banks, particularly in Europe, there are no "LIBOR transactions". LIBOR represents a rate on an unsecured loan from one bank to another. But except for overnight or very short-term maturities many banks are not able to borrow on an unsecured basis. Some can not borrow at all except from the ECB. Finding actual 3 or 6-month transactions would be extremely challenging and may even be impossible for certain currencies. Another proposal is to use just the overnight rate that is targeted by the central banks (such as the Fed Funds effective rate for dollars or EONIA for euro). Certainly it is much easier to obtain quotes for all major currencies using the overnight rate, although in times of stress it would be biased to only the stronger banks. The key issue of this approach is that it limits one to only one tenor - the overnight. The industry clearly needs more of a term structure, ideally out to one year. An extension of the overnight rate proposal is to use the Overnight Index Swaps (OIS). That gives one the term structure and the market is fairly active. 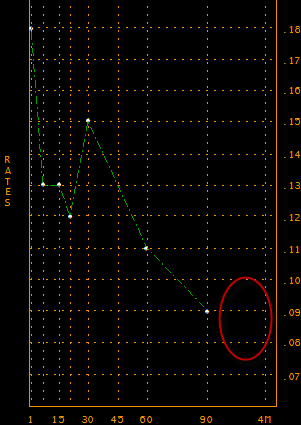 Some in the industry and even central banks are beginning to use OIS rates quite actively for various purposes. Another good option is to shift to secured funding rates. That is now the primary way that banks lend to each other in Europe. The other positive aspect of secured lending is the fact that it is not limited to banks. From money market funds to hedge funds and corporations, secured funding is used quite actively globally. As long as the collateral type can be specified, the index is easy to obtain. Eurepo is a good example of secured lending index that is comparable to LIBOR/Euribor (although there may be issues with the way it is computed as well). But even that index would need to be monitored carefully for longer tenors because the transaction liquidity for secured lending drops off greatly for longer maturities. 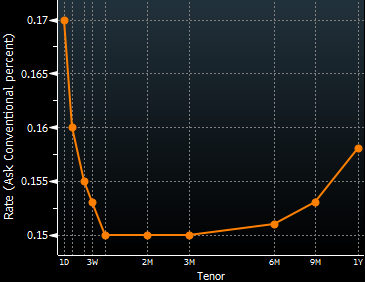 Even in the US, where repo markets are massive, the tenor rarely goes beyond 3 months. It is therefore unlikely that the industry will find a LIBOR substitute that is both verifiable via actual transactions and has the tenor out to one year. But in spite of the tenor limitations, it is imperative that the industry begins to transition toward "observable" indices such as OIS or Repo. It will take years because so many existing long term contracts reference LIBOR (supposedly $360 trillion in total), but it is necessary given the lack of confidence this hypothetical and manipulated index has created.